with 1/4" new lace front. Clear 1" poly coated perimeter. Suitable for daily wear and permanent wear. 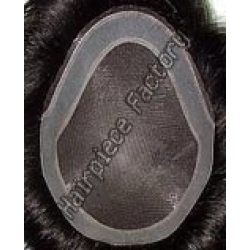 Very light, thin and comfortable hair piece. 1/4" lace front for a more natural hair line.